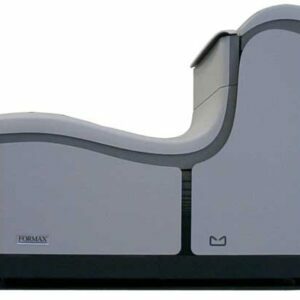 Formax 6600 Series Inserters - Roberts Business Machines, Inc. Available in six models, the 6600 Tabletop Inserter Series can adapt to nearly any folding and inserting application. Two, four and six-station models are available to meet your particular needs. The 6600 Series offers two output systems: a power stacker, which holds up to 500 filled envelopes, in their original order; and a side exit tray which holds up to 250 filled envelopes. A top-loading envelope hopper is standard, and accommodates up to 500 envelopes. The optional production feeder holds up to 325 BREs and up to 1,200 sheets of paper.